120 TO-DO'S IN 18 DAYS! With our mega summer of events kicking off in 18 days, Laurie & I have a lot of tasks to do before we leave. 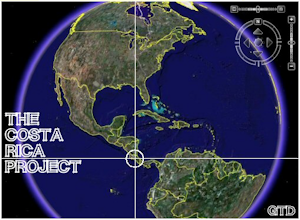 Over the weekend I comprised my to-do list of 120 tasks that need to be completed by May 17th (the day we depart for Costa Rica). 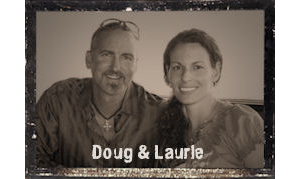 Powered by the Holy Spirit, driven by God's call, and motivated by the incredible love & freedom I've experience through Jesus for 33 years, I look forward to the daily grind of chipping away at each task so that we are fully prepared to minister the Good News of Jesus Christ all summer long. On your mark, get set, goooooo!! Let the administration race begin!! While circled around the campfire ring Pastor Danny Bennett reviewed the Field Manual and challenged the men to live out our high calling as honorable Christian men. 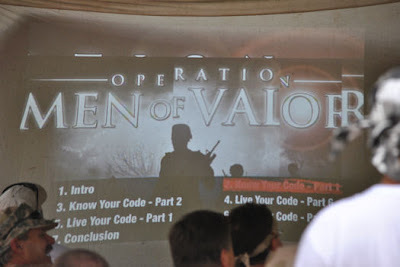 To help understand what that high calling looks like we assembled a briefing headquarters that included a projector, large bed sheet, and sound system in order to view several inspiring Life of Valor videos which were produced by actual Navy SEALs. The objective was to watch a 5-10 minute video segment then break into squads for a small group discussion using the Field Manual followed by some individual time seeking God and His Word. It was a powerful time! 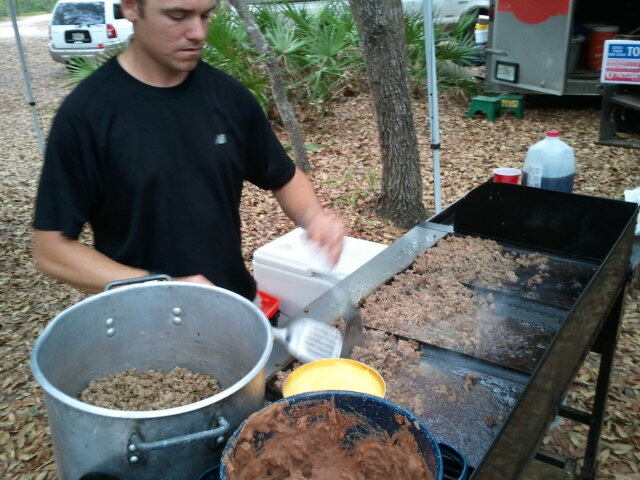 Following Session 1 we prepared a taco feast for the men including 20 lbs of ground beef! Judging by the empty cooking pots we had after dinner, I think the guys thoroughly enjoyed the man feast! PADDLE PROWL Sign-Up Deadline This Tuesday!! DON'T MISS NEXT WEEKEND'S PADDLE PROWL!! Join GTD on May 5-6 (Sat-Sun) for this incredible canoe camping weekend trip on the Ocklawaha River in the Ocala National Forest. Special price of $49/person (plus food). Check out all the details here. After 8 exciting days in Costa Rica, the Westside Christian School mission team is heading back to the United States today. In fact, they just arrived safe & sound to SJO International Airport outside of San Jose, CR, where they will be awaiting the departure of their flight. We will keep you updated. 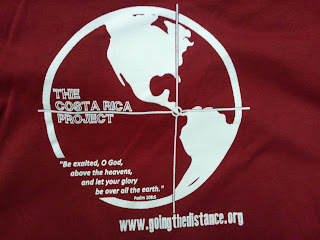 And we are looking forward to posting pics over the next few days of their first-ever school mission trip!! I've talked to Toly (our interpreter) and Laurie via Skype and received a few text messages from Cara Jones & the WCS Mission Team in Costa Rica throughout the day. 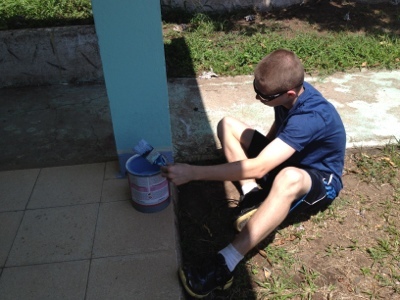 Despite some rain that interfered with the group's painting plans, everyone is doing well.They are visiting "the city" (I believe she is referring to Liberia - about 45 minutes away) and plan to watch the sunset at the huge windmills on the outskirts of the nearby town of Guayabo. 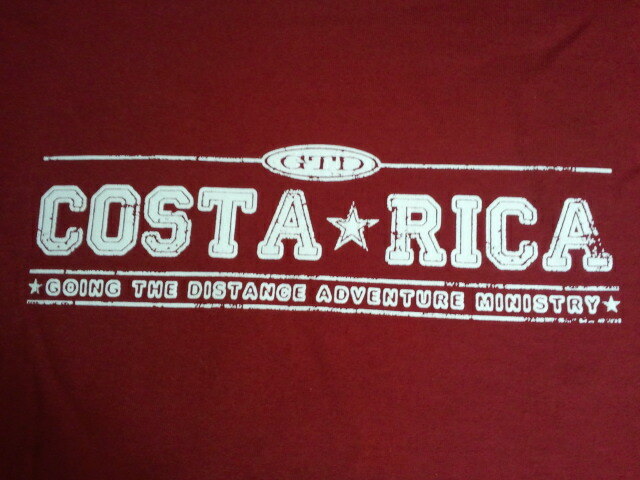 Tomorrow they head back to the US. Stay tuned for more updates! After a 1 hour bus ride the men arrived to the camp entrance. They still didn't know the exact plan for the weekend, but they were willing spirits ready to embark on an adventure. 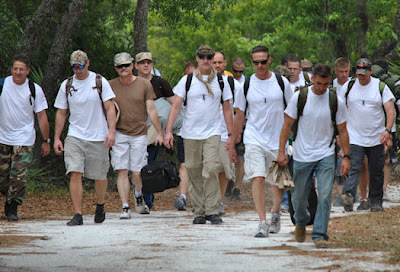 Carrying their gear, they hiked half of a mile to the main base camp. 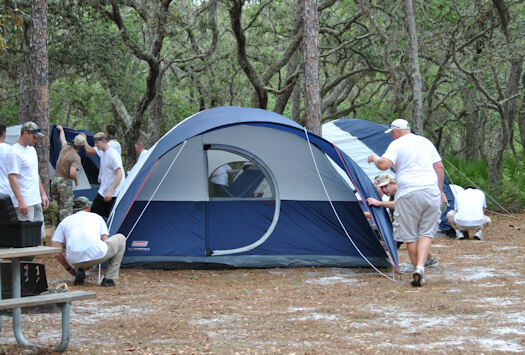 They were issued 2 tents per squad and 1 cot per person. They were instructed to set-up their tents as a squad, but without specific details on how to set-up these particular tents. They had to figure out how the tent was assembled as a team. The forecast called for heavy rain so they needed to make sure each tent was rain tight. Next, they assembled their cots and placed them in their tents. 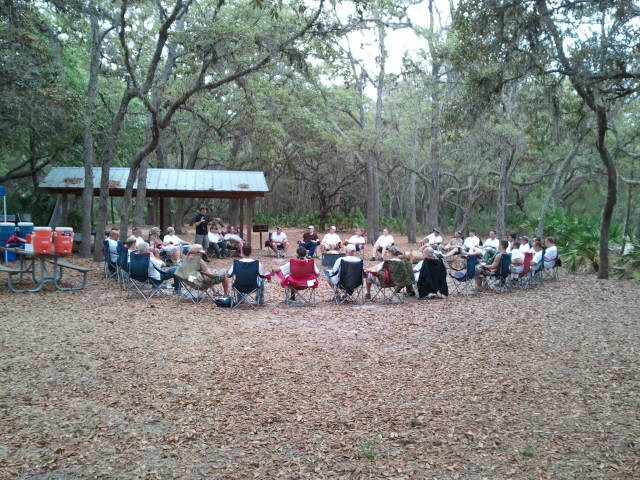 After tents and cots were assembled the men circled up around the campfire ring for instructions and orientation. 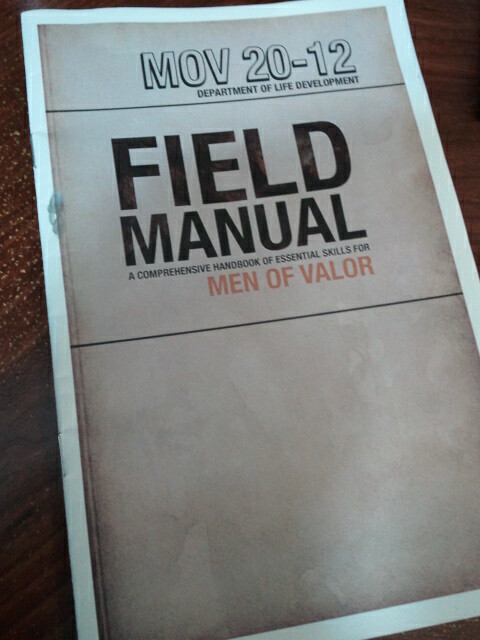 Field Manuals were issued out to each individual. 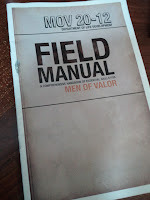 The Field Manuals contain the discussion topics and Bible verses that each squad is to talk about after each Life of Valor video. 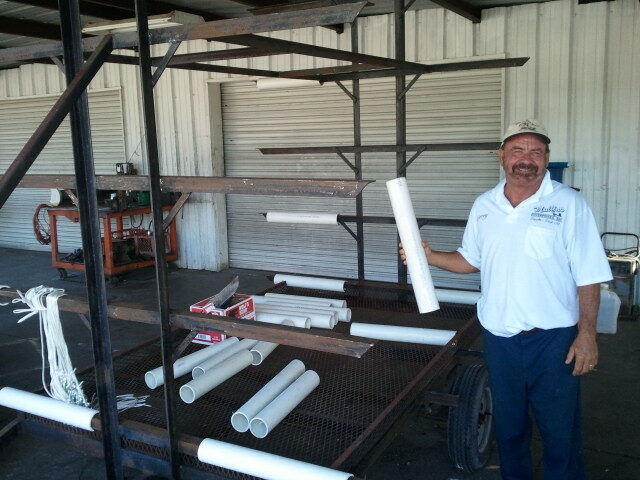 Jerry Mullins, City of Pinellas Park Councilman & owner of Mullins Enterprises, has been a great friend to GTD. In addition to donating a truck to our ministry when both of our vans died of old age in 2010 and being a regular table sponsor at our Annual Banquet, Jerry has now adopted the restoration of our canoe trailer. 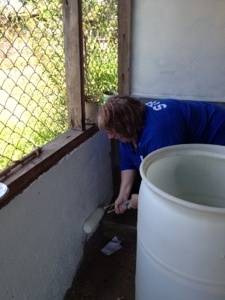 This is no small task... and no small blessing to our ministry! Canoeing is one of our staple activities in GTD and we rely on our canoe trailer to safely get the canoes to our paddling destinations. 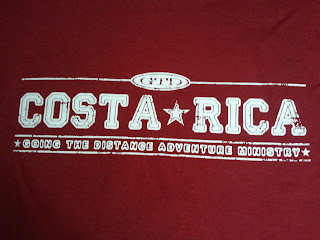 Some of those destinations are 150 miles away. Over the past year it had become obvious that our canoe trailer was quickly degrading from years of salt water exposure. 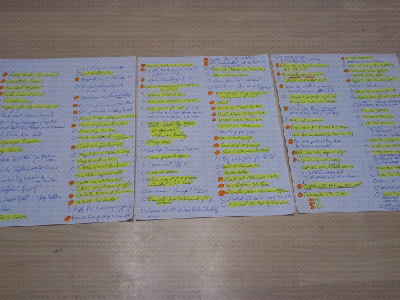 It literally became one of 450 tasks on my to-do list. I know that may sound like an exaggeration, but it is not. 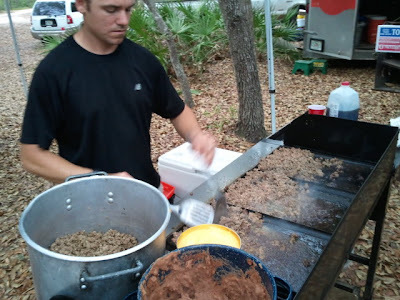 With just a 2-person crew here at GTD and most of our volunteers having to transition to married life and raising kids, our plate has been very full for the past 3 years and the to-do's have piled up. But over the past 6 months, by the grace & power of God and some monomaniacal determination, I have tackled about 200 of those to-do's and arrived at a place of being able to take on the canoe trailer repairs. My dad (Jerry Garner), Tom Lawrence, Al Vision, & I began repairing it 2 weeks ago. Enter Jerry Mullins & crew. Like a Canoe Trailer Restoration Superhero, he is saving the day. Jerry has adopted the complete restoration of our rusting dying trailer. Among other things, he & his crew are removing the rust, replacing the fenders, installing PVC protective sleeves, and painting the entire trailer... at no cost to the ministry. Jerry Mullins is a great guy with an enormous heart and an infectious enthusiasm for life. I can't thank him enough for the acts of kindness he has shown and continues to show to our ministry. Please join me in praying for God's hand and love to be upon him, his family, and his business for the love he has demonstrated to our ministry! He is making a difference. Thank you Jerry!! 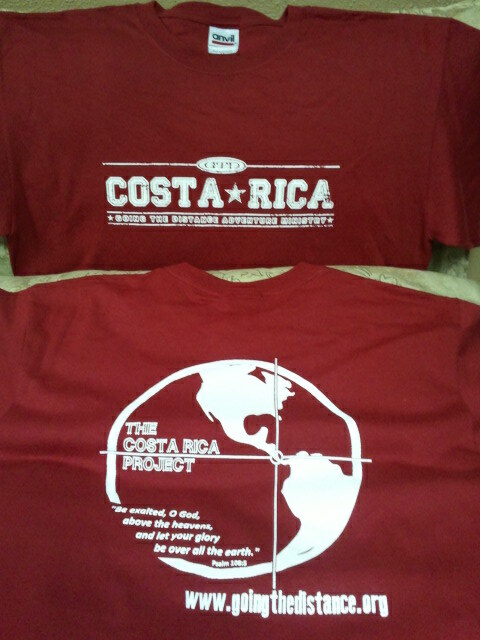 I have received a couple of text messages from Cara Jones in Costa Rica about the Westside Christian School Mission Team. Everyone is doing well. 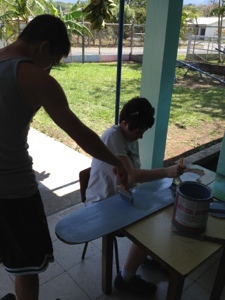 They spent the day doing community service projects at a local school. 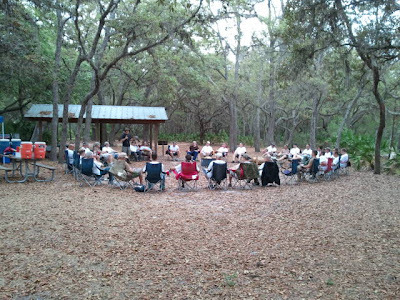 In the early evening they attended a men's rehab gathering to interact with guys who are going through a Christ-centered program to recover from various addictions. Cara sang at the rehab and they had a Q & A time with the students. Cara described the men as "super sweet". Afterward they attended the Thursday night church service at our host church which is full of passionate love for our Lord. Sounds like another great day in CR!! 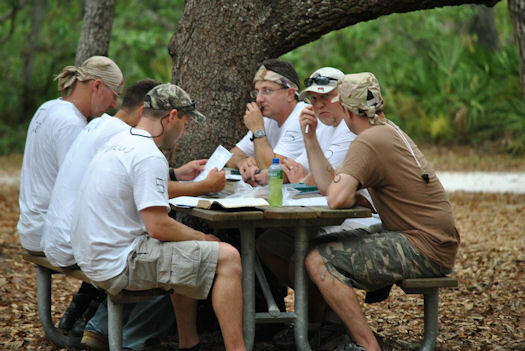 Part 2 - BRIEFING, PHYSICAL, TRAINING & SQUADS: Since this was a Top Secret Mission the men who signed up for this event didn't know exactly what they would be doing or where they would be going. 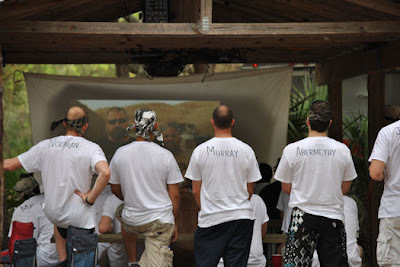 They arrived at Calvary Baptist Church of Clearwater on Friday, April 20th at 2pm. Having received only general information, 32 men arrived with their overnight supplies and 2 one-gallon jugs of water. At 2:15pm the Drill Sergeants arrived to man specific stations. 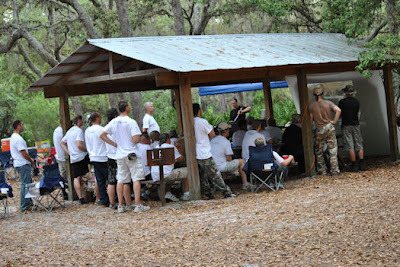 Four registration tables were set-up where each man received a personalized dog tag, white T-shirt, & a camouflage bandana. Each man received a mock physical to help set the tone for the pending event. The entire group was then broken down into 5 smaller squads and given Squad Leaders. The squads were trained to form-up in 3 x 3 formation. 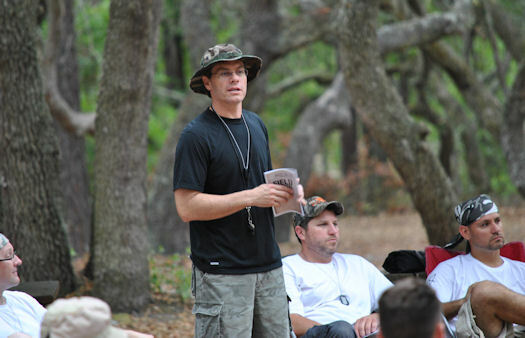 Upon formation Pastor Danny informed the men that they were about to be challenged physically, spiritually, and emotionally and at times this mission would not be easy, but that they would find out what they were made of. Just like the Navy SEALs leave no man behind, it would be the same on this mission. 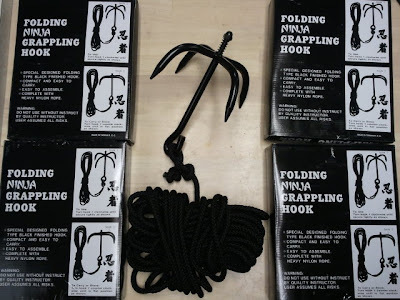 Each man was instructed to "Go Dark" and turn off all cell phones & technology based gadgets. They then watched the following 4 minute video by Life of Valor and were challenged to either continue on this mission or quit now. WELCOME TO GTD'S NEWEST STAFF MEMBER!! I'm happy to announce that my 9 year old nephew Carson Vescovi has accepted the position of "Assistant To The Regional Manager in our Research & Development of Games Department". 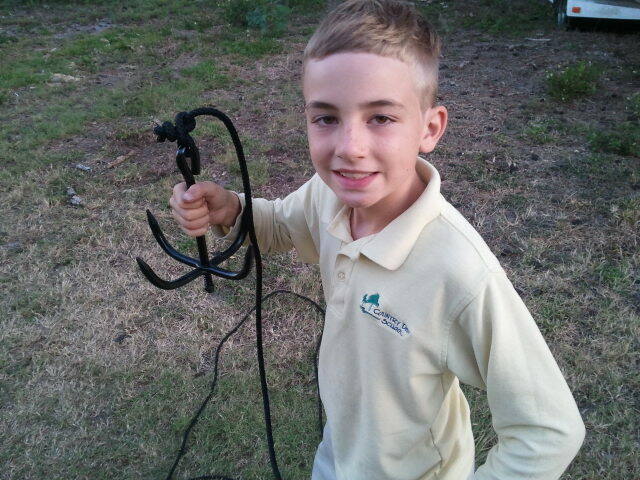 He has already been hard at work testing our new grappling hooks. Today was a very busy day for us! 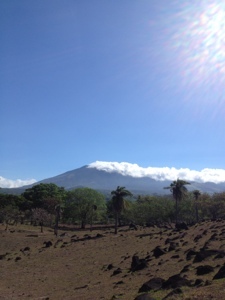 We started out reading Genesis 1 on beautiful farmland overlooking a lake and volcano. It was the perfect setting for reading about God's creation. 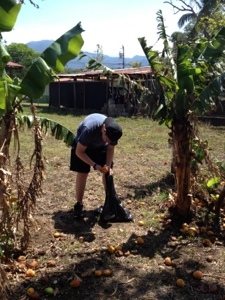 From there we visited another nearby farm to see some very large oxen and eat some fresh fruit off the trees! 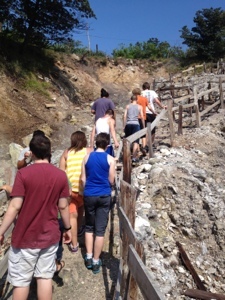 The students loved it, but it was just the beginning of the tour. 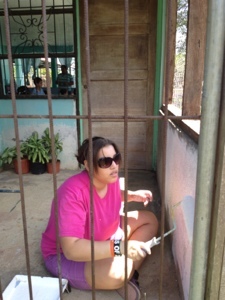 We also went to a local family property to see how they process sugar cane. 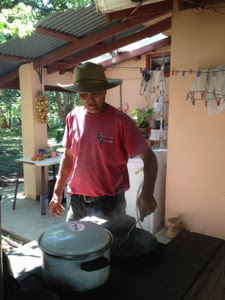 We drank sugar cane juice and ate sugar in hard, soft and gooey forms. It was like butter, honey and fudge! 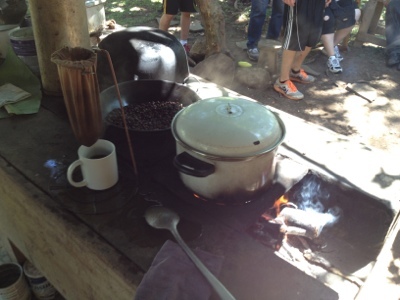 After that we were off to another home to see how coffee is processed! 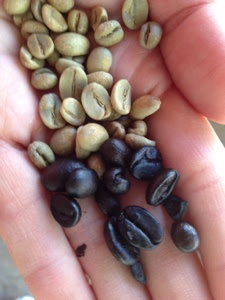 We helped roast & grind the beans then drink the coffee!!! After lunch we got ready for the children's carnival in Miravalles, a little community near the church. 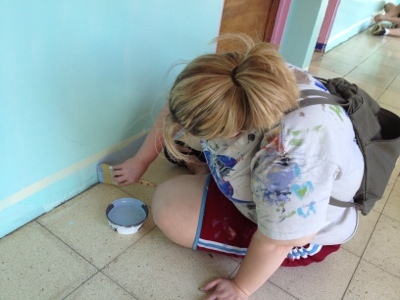 Our team played games, kicked balls, painted faces, made crafts and shared testimonies. 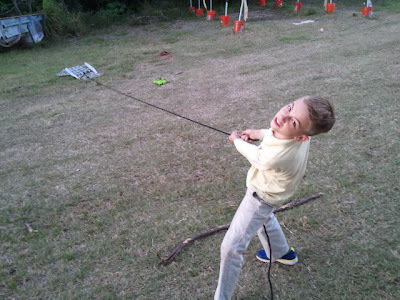 The Westside Christian School's mission team had a blast with all the local kids, and the kids loved them! Now the group is off playing a pick up game of soccer with the locals before we head back to church for our nightly Bible study and to share our highlights of the day! This has been an amazing day full of so many blessings! We are thankful to the locals for welcoming us with open arms. 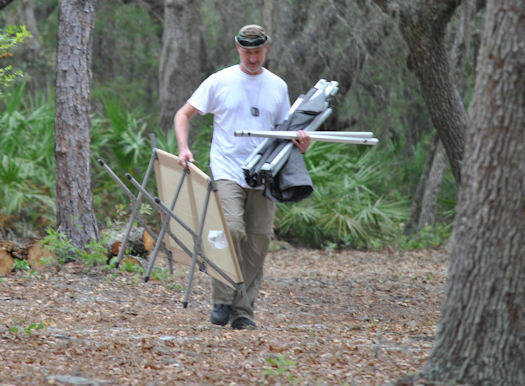 Part 1 - OVERVIEW: On Feb 15, 2012 GTD was contacted by Danny Bennett, the Pastor of Life Development at Calvary Baptist Church of Clearwater. 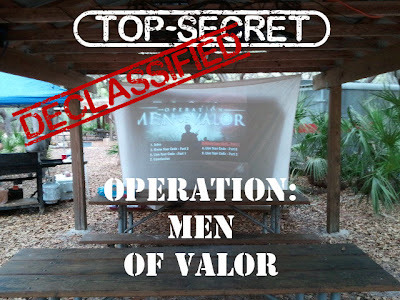 He asked GTD to outfit a top secret event for his ministry, a men's spiritual boot camp that would be influenced by the new movie "Act of Valor" and centered around a video series put out by "Life of Valor" (actual Navy SEALs who are Christians and who challenge men to live honorable lives). 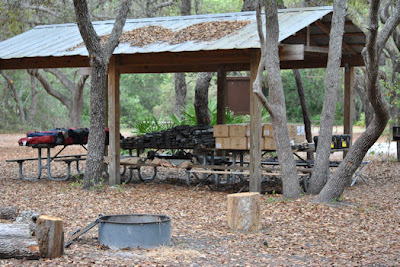 The event was to take place April 20-21, 2012 and last 24 hours. The objective was to spur men on towards becoming Men of Valor for the glory of God. Details of the actual event are being released on upcoming blog posts. 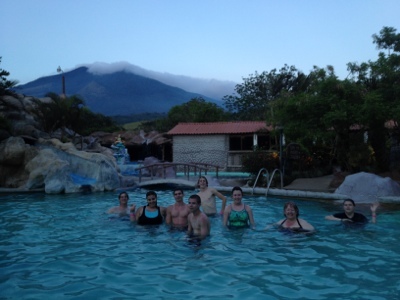 The group had a blast at Thermal Mania last night. 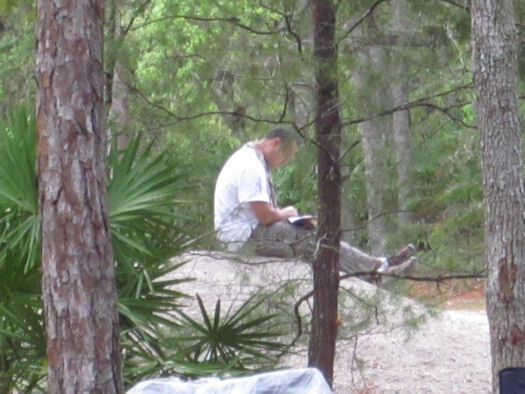 This morning they enjoyed mountain side devotions. 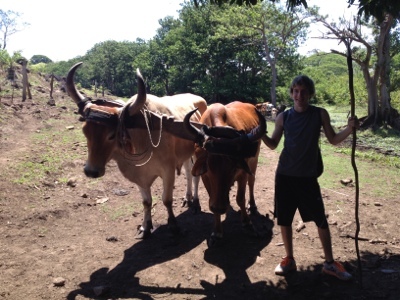 Now they are on their way to do a tour of the local culture including sitting on an ox, watching how coffee is made, and learning how sugar cane is processed by hand. This afternoon the team is hosting a carnival for the local kids!! And tonight they are attending the local church service. It's going to be a great day for the team!! Keep them in your prayers, that the Holy Spirit continues to do a great work in them... and through them. After a long day of working (painting, sanding and digging out a garden) the team is ready for a little fun! 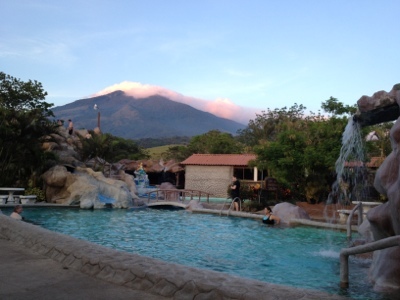 Tonight we are eating dinner at Thermal Mania and enjoying the hot springs! Top Secret GTD Event - DECLASSIFIED! Our TOP SECRET event last Friday & Saturday has been DECLASSIFIED. 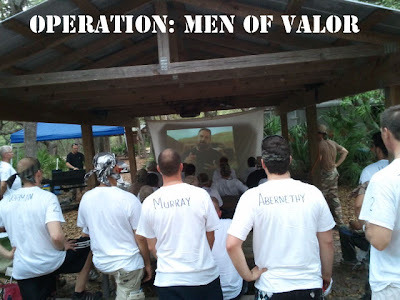 Code Name: "OPERATION MEN OF VALOR"
Look for a post-operation recap as well as surveillance photos taken from this God-awesome event on tomorrow's blog!!! 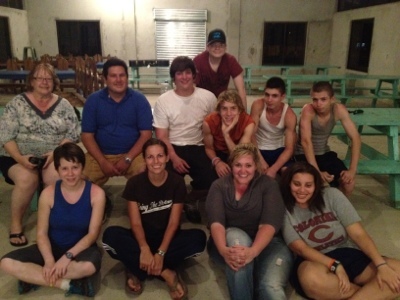 I received a couple of quick text messages from Cara late last night updating me about Westside Christian School's mission trip in Costa Rica. Cara Jones via text: "[We are doing] Great! No power :). We did impact time by flash light and now we are at the park... Playing. ... 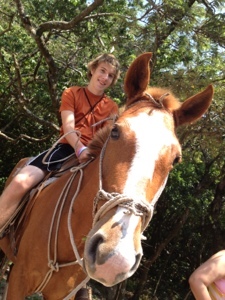 Went to the corral today ... Power is back and we visited Louis and family." Basically what that all means is that the group is doing great. They were without electricity for a a little while so they had to do their Bible study time (we call it "Impact Point") while using flashlights. They then walked down to the city square (about 1/2 mile) where the locals gather to play soccer. It's a great place to meet some of the locals and get a snack from one of the small stores. 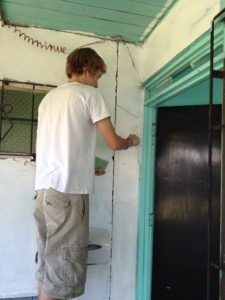 Evidently the group visited one of our ongoing projects earlier in the day about 3 miles from the church. 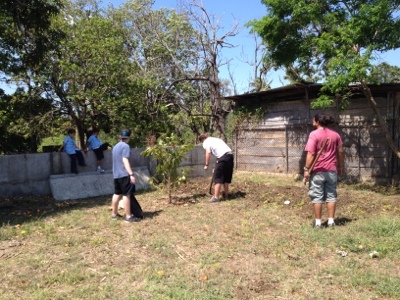 On-site of this project is what we call The Corral where most of the mission teams used to sleep before we started staying at the church bunkhouses. The Corral is now used for storage and as a meeting place for meals & breaks during our construction projects on the property. 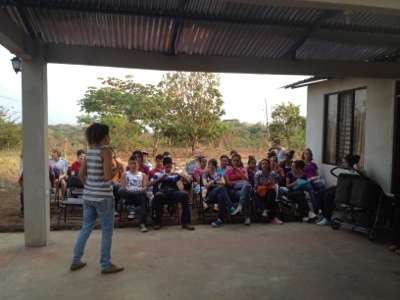 We take all the groups to The Corral to show them the history of GTD's Mission Program. And some point the power came back on. They also visited one of the locals and a dear friend. Thank you Mom (Ann Garner) for the awesome flags you made last week for GTD's Adventure Races... they were already put to good use this past weekend!! 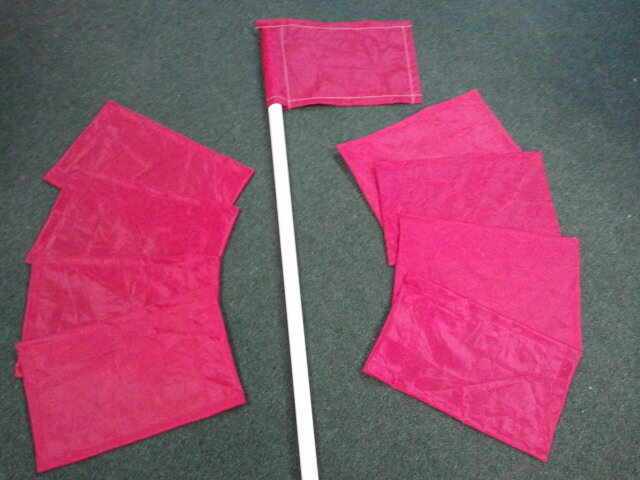 Believe it or not those flags cost around $10-15 each if we had to buy them pre-made! So you saved the ministry around $100! You are the best!! I love you!! Saturday 1:15pm (CR time) via text: "They have arrived and are in the van. We are leaving the airport now. Kids are all doing well. They got juice and cookies and are happy." Saturday afternoon via facebook: "we made it safely to the church tonight. all is good! we will be in touch soon! everyone is enjoying themselves so far! praise GOD!" Sunday 6:19pm (CR time) via text: "We are doing great! We just left a youth gathering. Our students put on a drama for the youth. They did a great job! Now heading back to the church for some dinner." Sunday 6:24pm (CR time) via text: "Can't wait to see all that God is going to do. Already seeing God working makes this even more awesome. God is amazing." Sunday night via facebook: "i didnt have time to update the blog with pictures tonight. i tried to at the church when i got back, but blogger was showing up really weird and i couldnt get to a new post to post anything! its something strange with the computer i think.... off to bed...its really really late, and we have to get up really, really early! ...good nite." Monday 12:58pm (CR time) via text: "We are having a blast. 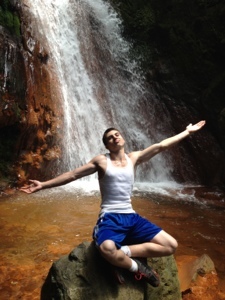 At waterfall now." Everything is going great!! 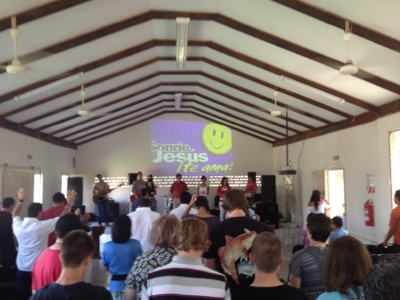 During our Skype conversation Laurie talked about the wonderful church service the group attended yesterday, how the WCS youth have begun interacting well with the church's youth group, and the great drama presentation they performed at a youth outreach in a neighboring town. 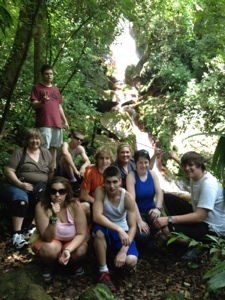 It sounds like their mission trip is off to a fantastic start!! 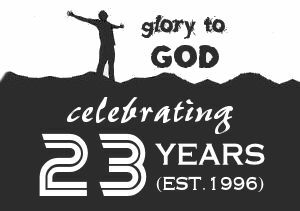 AG2G (All glory to God)!! PS: We are thankful to the Lord for enabling our ministry to fund the recent addition of internet service to the Fortuna church. 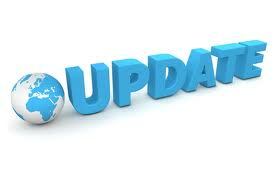 In addition to helping the church become more technologically effective year-round, this will also make communication to the US more readily available for our group leaders who need to share regular updates with concerned parents. We have also purchased a powerful wireless router that Laurie just took down. We hope to have it operational as soon as possible. Day One, Costa Rica Bound! SAC Sunday was a LOT OF FUN! 5 Months Till The GRAND CANYON Trip!! Jesus turns an average Friday N2 a GOOD FRIDAY! !